Thirty years is 262,974 hours. Most people who have been together for 30 years have been together longer than they have not been together. These two people have melted and eroded together into the same stream of time, and there is no undoing the weathering that has occurred. 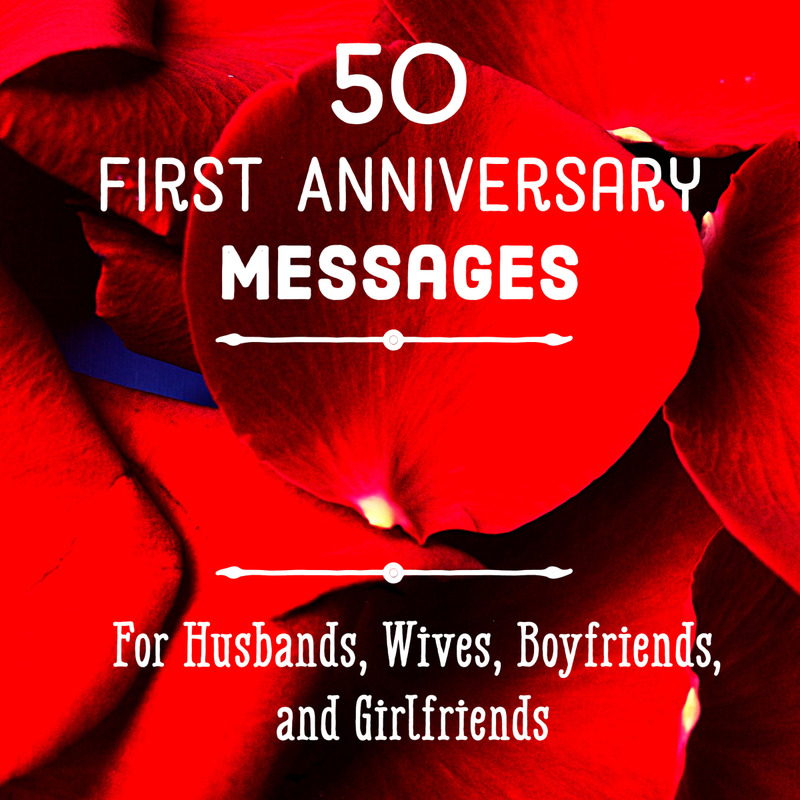 Acknowledging the huge milestone accomplishment of a 30-year-old marriage is difficult to express in words. The following examples are designed to help you express the thoughts and feelings that would otherwise be trapped in your heart and mind. Thanks for continuing to decide to stay married to me for 30 years in a row! You have taken up a lot of space in my heart and mind over the last 30 years. You don't just live with me. You live in me. We have gotten to know each other well over the last 30 years, but I'm not done learning from you. 30 years felt like just a few years, because time has flown while we've been having fun. Well, we've been married for 30 years now. I guess it has been long enough for us to make a well informed decision about staying together. I can't imagine what my life would have been like without you for the last 30 years. I'm looking forward to another great 30 years with you. 30 years ago was an awesome day! 30 years multiplied by 365 equals the number of days I've been glad I married you. That's 10950 days, by the way. I hope that 30 years is only 30% of how long we'll be married. 3 decades down, many more to go! How in the world did the time go by so fast? 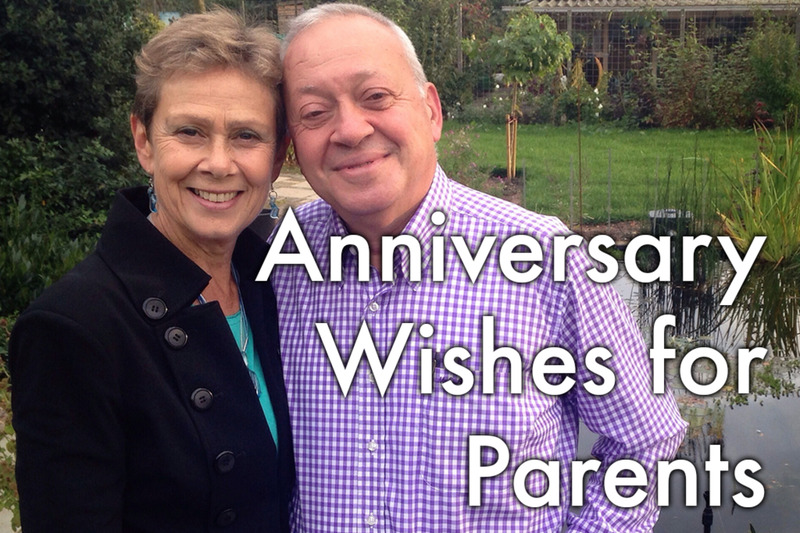 It seems like just yesterday we had only been married for 29 years! 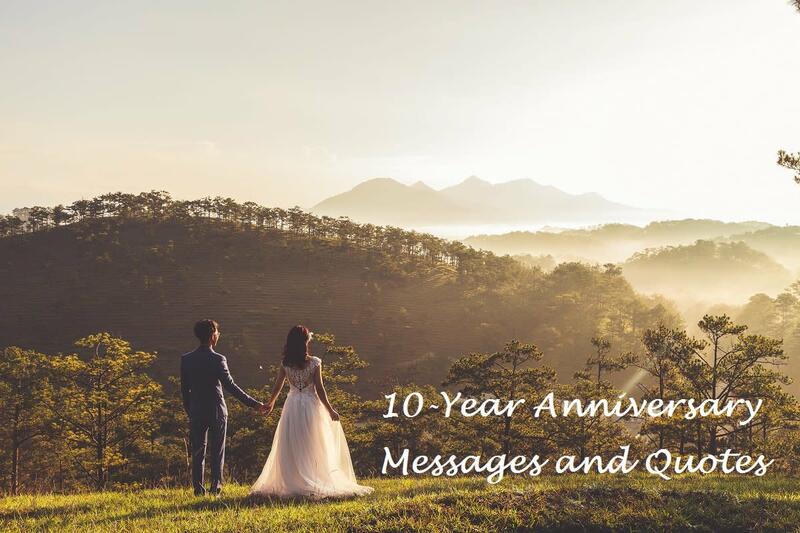 These are some anniversary messages for parents, other family members, and friends. Wow! 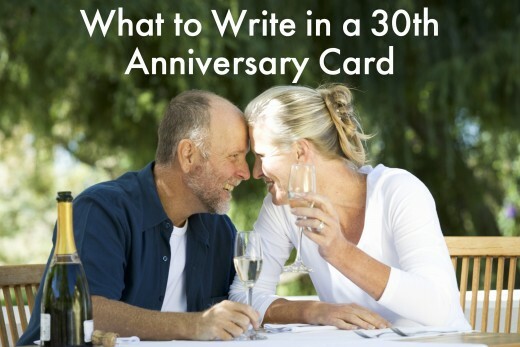 30 years is a long time to stay married, just so that you can get this card! Happy 30th! I bet you feel like you've been married for 3 decades. That's because you have. You've had 30 years to create the perfect marriage. Since I know you don't have a perfect marriage yet, you'll need to stay married much longer to keep working on it. Congratulations for being together for 10,957 days! That's an accomplishment. 30 years is considered a generation. You have been married for an entire generation. Congratulations! There are not a lot of quotes out there specifically tailored to 30th Anniversaries. 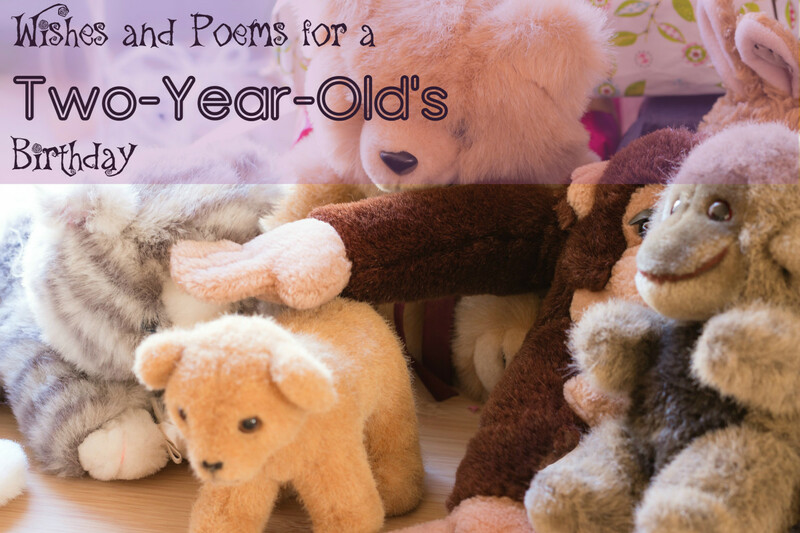 The following are a handful of quotes that will work well for the occasion. I'll also add a few original ones. The best time of a marriage begins after 30 years together. 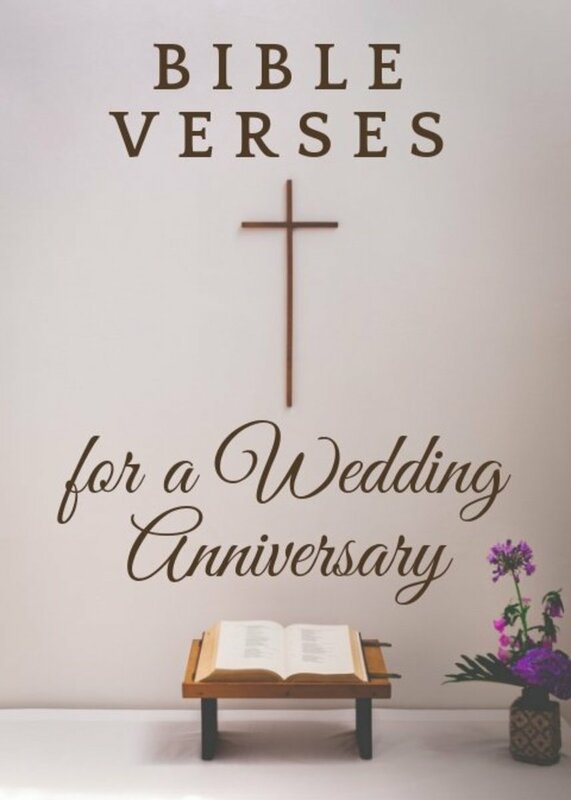 30 years of marriage can feel like a day or an eternity. That's why every married couple should have a time machine. It takes a couple years to learn how to talk as a child, but it can take 30 years of marriage to learn how to talk to your spouse. What you want in a marriage when you get married isn't always what you want after 30 years of marriage. Change expectations, but don't change spouses. 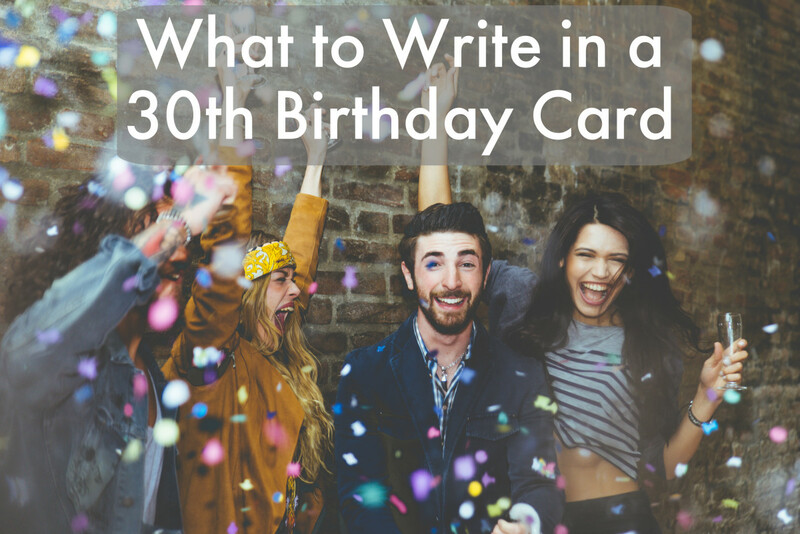 These are some simple and short poems you can write in a 30th anniversary card. Which Years of Marriage Tend to be the Happiest?